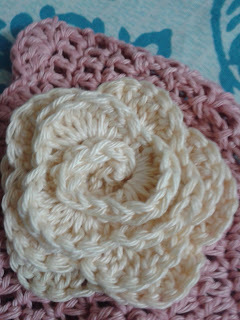 Days are passing by and WIP's are hibernating.... 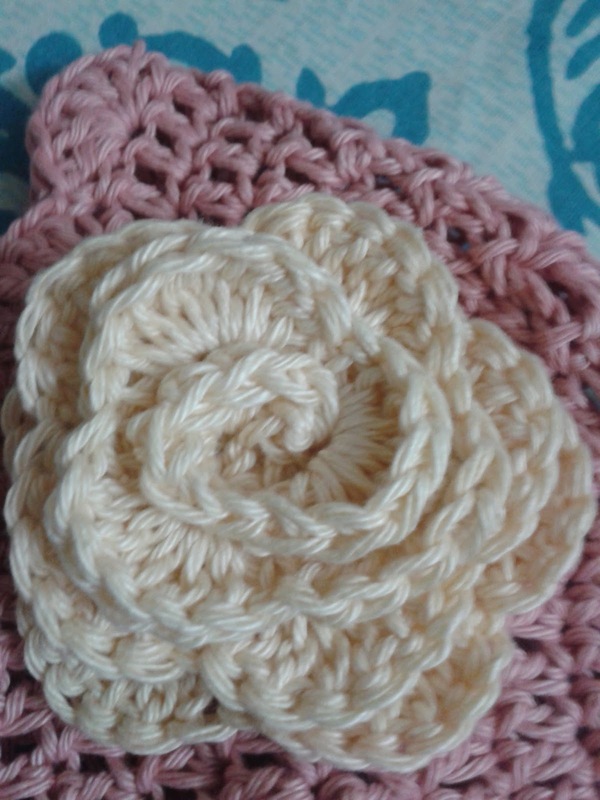 I wanted to crochet something which winds up fast and hurray! 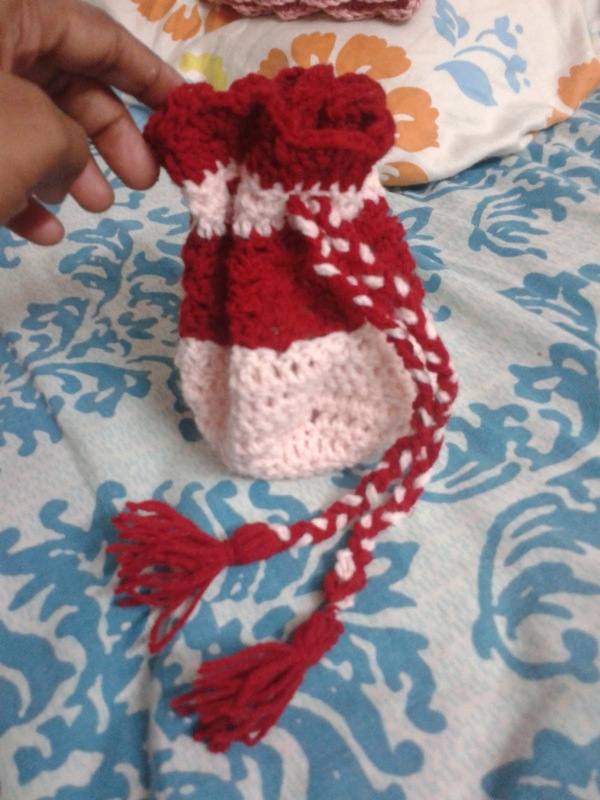 I did a beanie and drawstring bag..
Found some gratification in finishing a baby beanie in two hours and something wearable too. 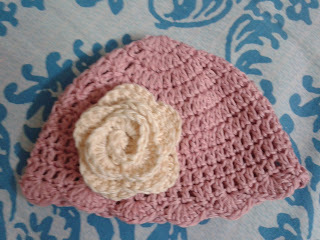 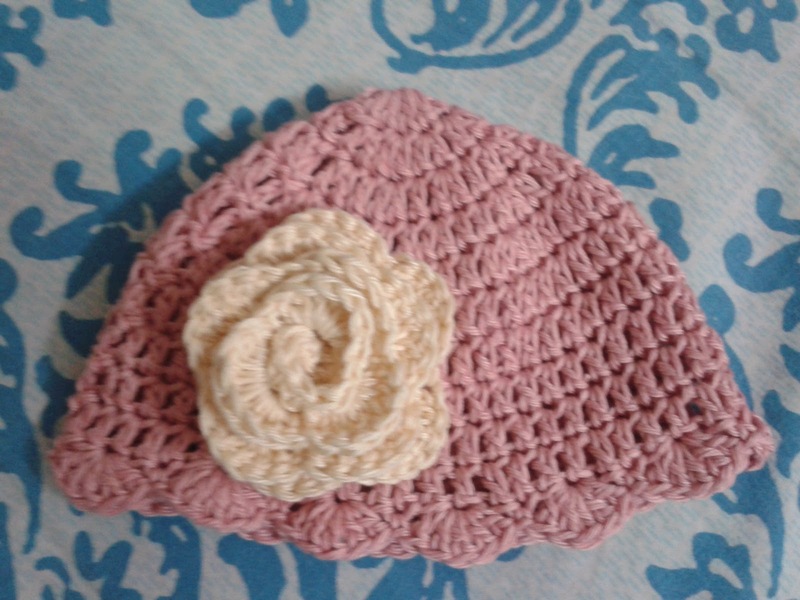 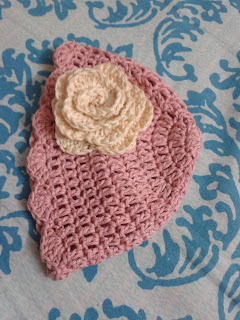 First time that I crocheted a rose. 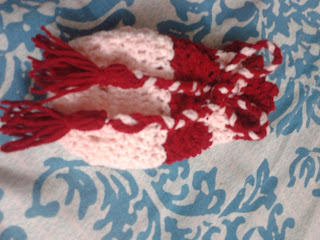 Hope it turned out well! 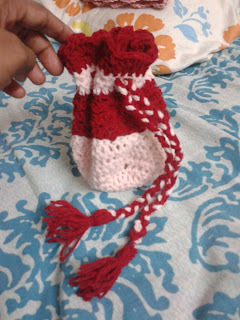 Here comes the drawstring bag- the surukupai (Tamil). 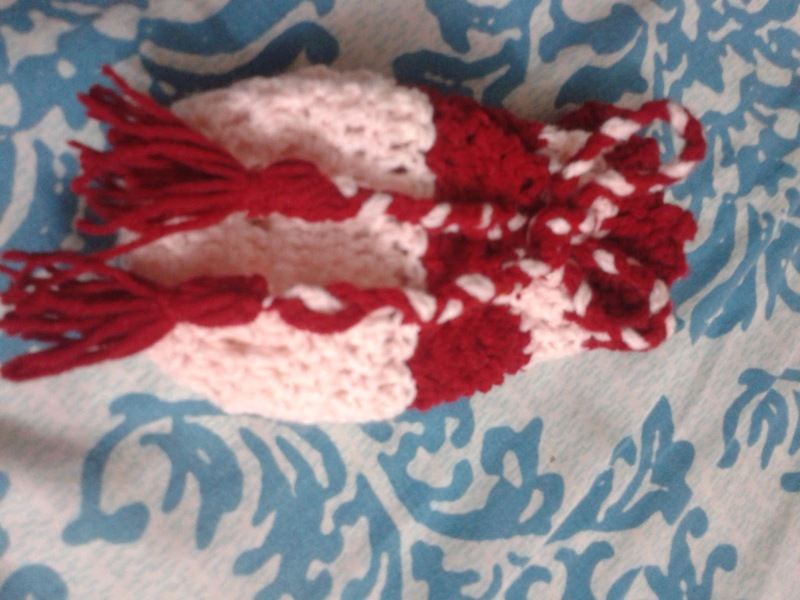 My great grand ma used to have a drawstring bag made up of beautiful pieces of left over fabrics and it used to accompany her always carrying her tobacco and knick knacks.Just felt nostalgic :) This is my version of surukupai(drawstring bag) . 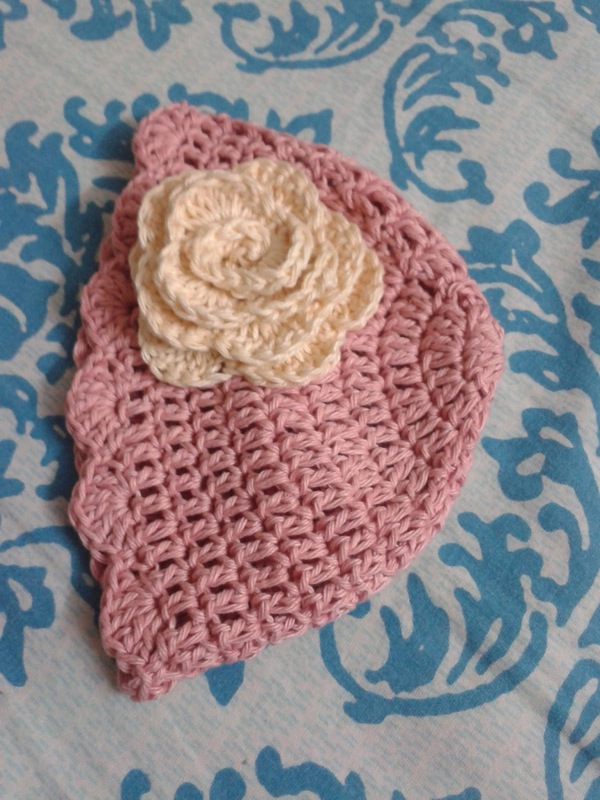 Gifted it to my sister who is using it as a purse.